I love mi madre. I really do. Granted she’s a little odd at times , but she has a warm lap, she carries me around when I don’t want to walk and she enjoys all the delicious treats I make for her on a daily basis. Unfortunately, I think she may have a problem. No, she’s not a raging alcoholic or drug user nor does she have an unhealthy love for setting things on fire (except sometimes when she uses the oven, but that’s a different story.) No her problem lies in a completely different area. Yes, you see, mi mama has a nut butter addiction. She hoards them worse than those ladies on TLC who hoard cats. Take last week, for instance. Just when I thought we couldn’t possibly need anymore jars of nut butter in our pantry, she comes home from the Co-op holding not one, but two 26 oz. jars of peanut butter. Because apparently, they were “ridiculously cheap” and she couldn’t decide between crunchy or creamy so clearly she needed to purchase them both. My poor sweet obsessive compulsive mama. I’ve tried having heart-to-heart therapy sessions with her but she’s often too hungover from the previous nights almond or cashew butter binge, that she’s not in the right frame of mind for any sort of intelligent conversation. So you see, I now feel the need to expose her little addiction and get it out in the open so that she may someday be able to reach out and ask me or someone else for help. We’ll see. In the meantime, I have decided that if I can’t control her habit totally, I can at least help out la familia financially by making the nut butters at home, from scratch, rather than her running out and buying up every jar in our town’s grocery stores and causing mi poor padre to take out a second loan on the house. Definitely more cost effective, and might even earn me an extra Greenie at the end of the day. 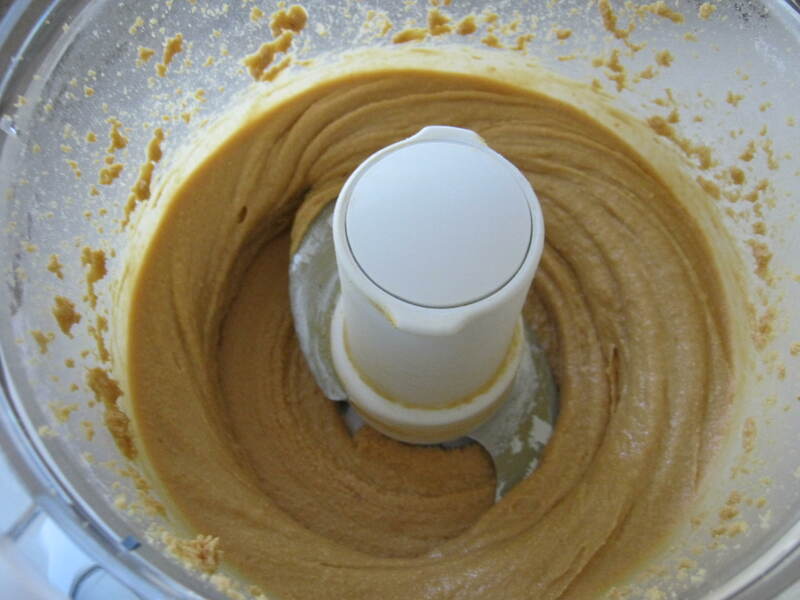 I use my food processor for making my butters as I find this to be the most easy and effective. 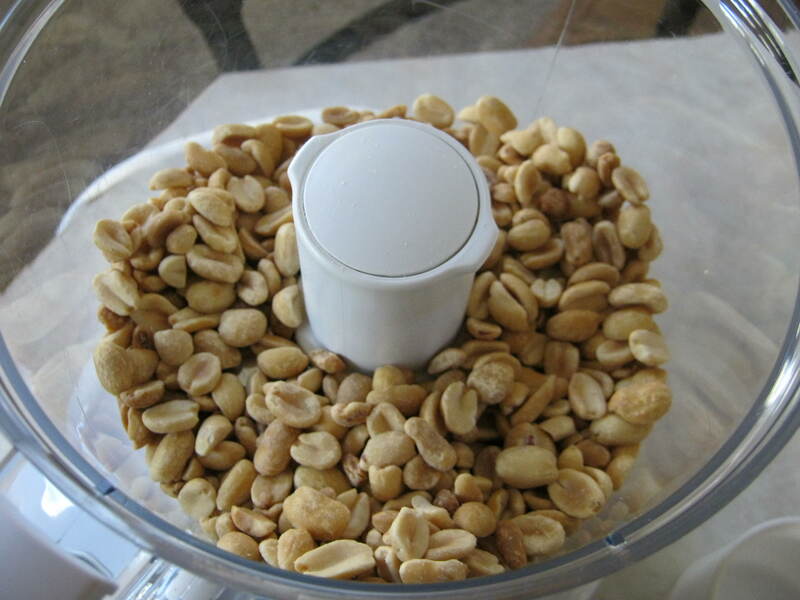 However, you may be able to use a blender, as long as it’s very high powered. Vita-mixes work muy bueno as well, but given their extremely high cost, I think I will be sticking to my food processor for now. At least until March 25th when I’m hoping to receive one for my 8th birthday (ahem ahem). 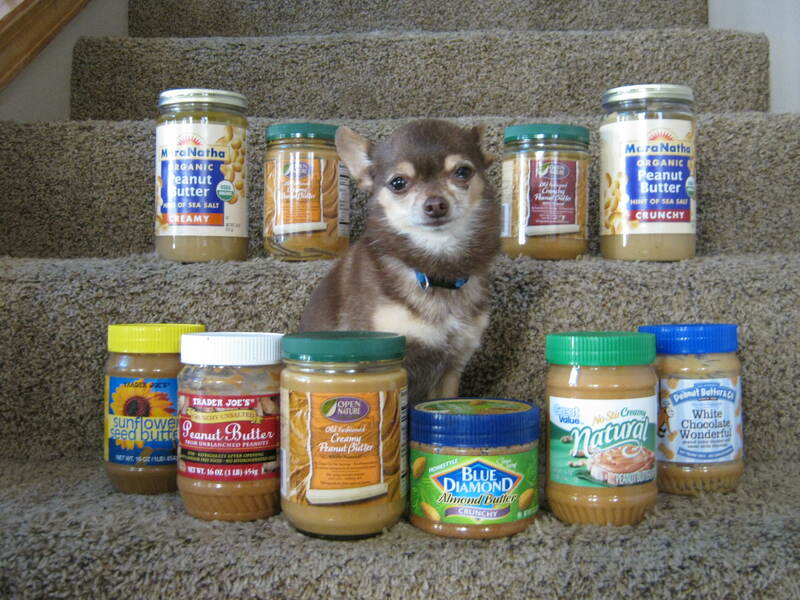 Anyway, back to the peanut butter. You may to need to get out a pen and paper as these are incredibly difficult directions. Are you ready? Okay, take 2 cups of dry-roasted and unsalted (or you could use salted and then omit the extra salt later, unless of course you enjoy the lovely bloat that excess salt causes) and throw them into your food processor. Put the lid on and let her rip. Trust me when I tell you it takes about 10-15 minutes for the peanuts to get to that lovely butter consistency. Don’t be impatient, just let the processor do it’s thing. Afterwards, take off the lid and voila. You have peanut butter! Doesn’t get any easier that that. Now if you want to get all fancy-pants, you can add in some things after it’s done churning. For this particular one, I added in a little bit of vanilla extract (about 1 tsp), a little cinnamon (about 1 tsp) and just a pinch of salt. Smells heavenly and tastes…. well I’ll just have to let you be the judge of that. Sadly, my nutritionist put the kibosh on my nut butter consumption a few years ago. Something about it causing me to expand to the size of a small football. Which reminds me. I need to go hit the gym. haha this is amazing! I love the pictures of Juan! Juan’s nut-butters are the best! 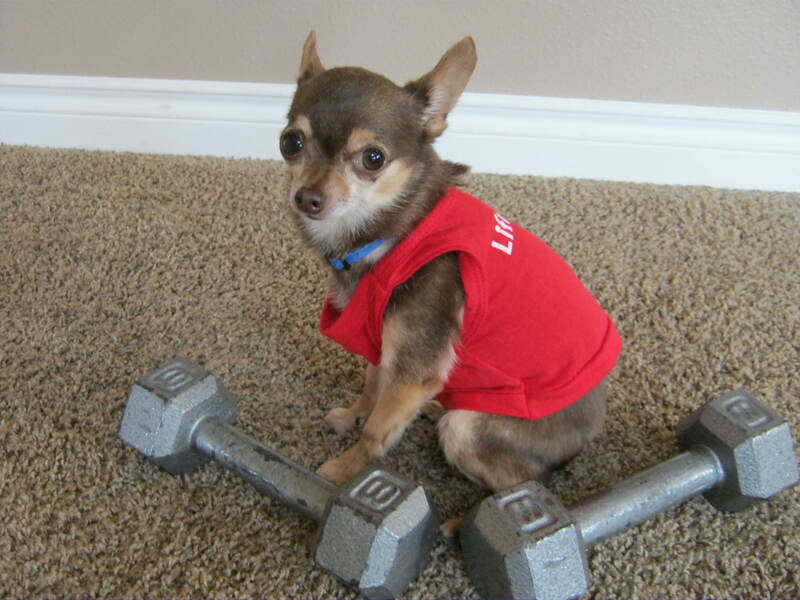 He’s a pretty good spotter/trainer in the weight room, as well. He used to be the strength and conditioning coach for the New Zealand All-Blacks rugby team. He eventually was asked to resign his post because the International Rugby Board determined that Juan’s coaching gave the All-Blacks an unfair advantage over the competition.